There has been a lot of criticism regarding Xiaomi’s after sales service that is quite reasonable by seeing the crowd it has to manage, So xiaomi now takes a step head to implement basic yet efficient feature that xiaomi products users can now track their repair status online. Earlier users have to call the executives to know the repair order status but now they can easily get their status online, this step by Xiaomi seems to be in the right direction as now Xiaomi is one of the most sold smartphone brands and has to provide good service to their loyal user base. Firstly you have to visit: Repair-Status. 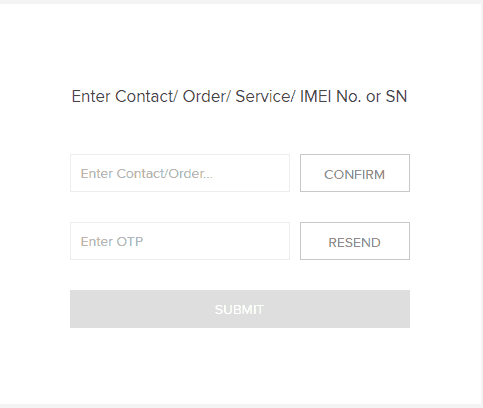 Click on ‘Confirm’ to get an OTP on your mobile number. Enter the OTP and click on ‘Submit’. You will get the status of your service order along with the details of your device. Cancelled – Your service order is cancelled. We think that Xiaomi’s all-new feature is a New Year gift along with a measure to tackle the situation as many pieces of evidence providing poor management of Xiaomi’s after sales service.